We’d love your help. 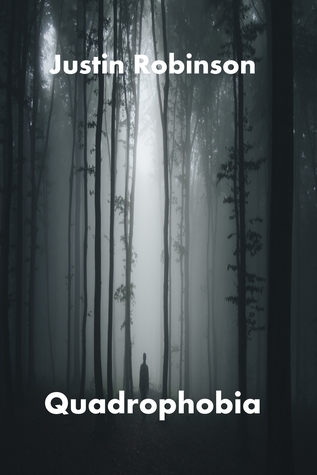 Let us know what’s wrong with this preview of Quadrophobia by Justin Robinson. To ask other readers questions about Quadrophobia, please sign up. This book has 4 short story's going to write little review for each and rate it. It was okay kinda boring for me. It was well written. Guess it wasn't for me. Took me day's to push myself to finish it and it was short story. Instead of zombie apocalypse. We get whole different airborne infection that make people go insane crazy murders!!! It was awesome! I totally what to read more from this story!! Very emotional r This book has 4 short story's going to write little review for each and rate it. Very emotional read. It was great until the end on who holly was that was bit twisted for me. it lost a star over that.